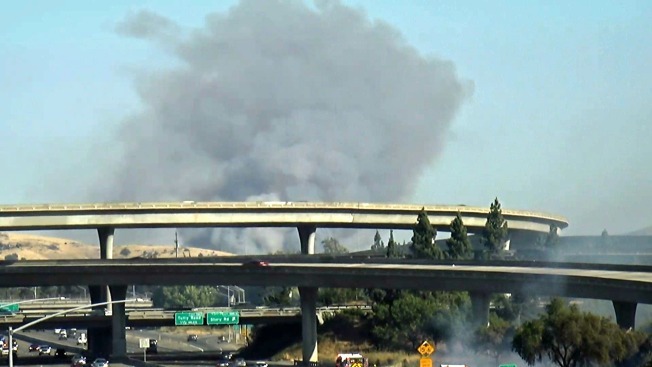 A brush fire on Saturday sent a towering plume of smoke into the air above San Jose. San Jose firefighters on Saturday battled a vegetation fire that charred 14 acres near Silver Creek Valley and Piercy Roads. The flames, which incinerated dried grass, triggered a thick plume of dark smoke to spew into the air above the South Bay. An exact cause for the fire is under investigation. Firefighters will keep an eye on the blaze overnight and extinguish any hot spots if necessary.